Sauber is a name hallowed in Formula 1. Few can forget the ever-smiling Peter Sauber striding up and down the Formula 1 paddock, watching his privateer team struggle through the trials and tribulations of what is a very stressful sport. The wheels of change have turned slowly and steadily over the years, and privateer teams, the ones with stiff upper lips and pockets not quite as deep as they would like, have slowly and steadily been very nearly phased out of F1. And Sauber, a team that once flourished with backing from BMW, now finds itself in a situation they'd rather not be in. Primarily, that of a team that has to watch every penny that they're spending - although it isn't a situation that is entirely alien to them. But what, then, given the current economic climate, does a privateer team do to ensure it can manage to put two competitive cars on the grid each race? The answer could lie in the hands and purse strings of the pay driver. 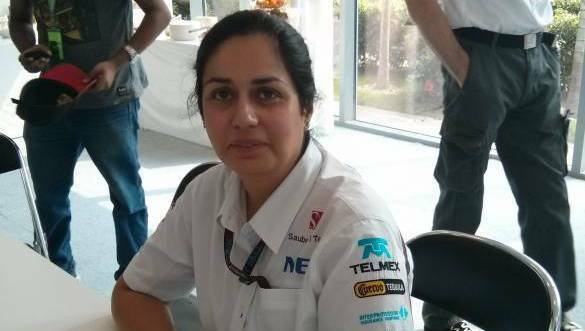 Sauber F1 Team Principal Monisha Kaltenborn is inclined to agree that there is a correlation between the survival of the privateer team and the hiring of pay drivers in F1. "Unfortunately I have to say yes, because if you look at the situation - most of the private our sized teams (Red Bull is also a private team but the situation is very different) are struggling. So you can try to compensate it by going in the direction of pay drivers." However, Kaltenborn is also quick to defend the drivers themselves, who are often labelled perhaps prematurely. "It's a bit of an unfair term as well, because every driver, no matter who he is today, has somewhere or the other been supported. Because you see how quickly drivers are called pay drivers and how quickly they get rid of that. We've had a driver recently when he came in the first question he was asked in Formula 1 was 'Would you say you are a pay driver?'. Suddenly he got in good results in the second year and nobody ever called him a pay driver again. It's all about performance," she declares. That, of course doesn't detract from the fact that for a privateer team to survive and compete against big budget teams, there is a definite need to pull in money one way or another. And one of the best ways to do this, unfair terminology or not, is by using those very pay drivers. Kaltenborn states "When you are in this kind of a situation you have to look at the commercial aspects as well, the financial aspects, and you have to make your team survive. So you tend to go with these drivers, ideally ones where you also feel that they are good drivers." Sauber's Nico Hulkenberg has been credited with having made it to the F1 squad based on merit alone, while the team's other driver Esteban Gutierrez has not managed to escape the 'pay driver' tag yet. Although, his results are certainly improving as has been proved by recent point scoring finishes. The Indian-born Kaltenborn does declare to us that these are just short term remedies for a much larger and more deep rooted problem, which is that Formula 1 is fundamentally an extremely expensive sport and these growing costs need to be addressed at some point. "But at some point that will also (the hiring of pay drivers) not work any more. So we are just prolonging the time when we in the end have to go ahead and decide how do we go ahead and how do we control the costs." The 2014 season comes with a slew of technological changes that essentially see the entire 'Formula' of the sport changing radically. And with these radical changes, not only is there tremendous stress on the teams in terms of technological and engineering innovation, but also in terms of finances. For a privateer team like Sauber to survive, especially given the Resource Restriction Agreement in Formula 1 didn't take off as was hoped, some check needs to come in before the sport is viewed in worse light than it already is. Cost control is crucial, and we hope there is a remedy around the corner soon.